The Department of Health have published what they say will be the first in a series of reports into the core health behaviours of target groups for their social marketing strategy. The raw data for this is available here. 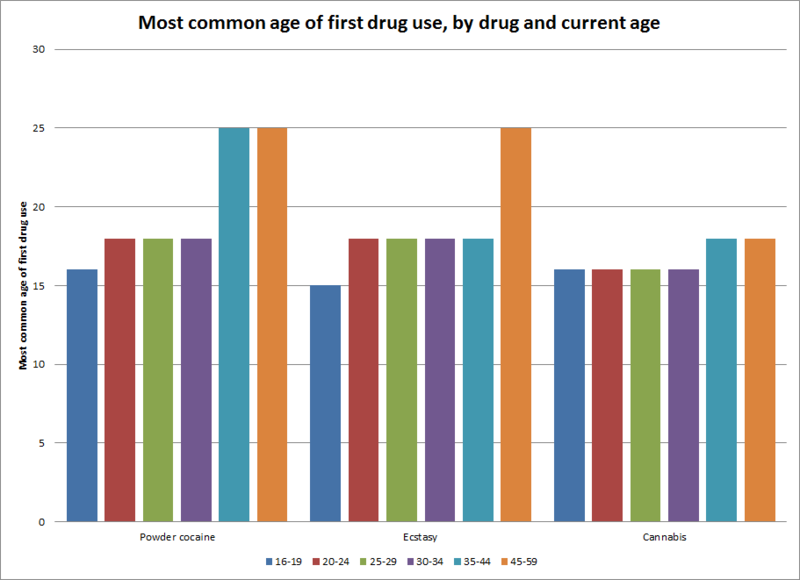 One of the things you notice if you dig into it is that there is quite a difference between when older people who have used drugs remember first using and what those under 35 said. It is also worth noting that the youngest age group – 16 to 19 year olds – will inevitably have started earlier.